I am an entrepreneur based in Jaipur, India. I started my first venture with a team of 10 and later Jumio, a big Silicon Valley name in Digital Identity Verification invested in my company. Today I am leading a team of over 2000+ with my current designation as Managing Director, Jumio India Pvt. Ltd. I still have bigger dreams and plans for the future. I have setup another company dealing in Digital Marketing, Finance & Accounting Services, Secure Database Management. I am also an investor in a software development company. "With multiple ventures coming up, the future has never looked more promising". Started my first venture with a team of 10 supporting my first few clients in the USA. GTPL was formed to provide back office support to a Silicon Valley based Fintech start-up Jumio which is a big name today in Digital Identity Verification. 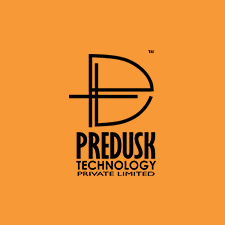 Predusk was setup to provide services like Digital Marketing, Secure Database Management, Finance & Accounting Services etc. Jumio Invested in Goyanka Technologies Pvt. Ltd.
GTPL which was by now a self-sustainable business model, PCI/PII compliant and providing 24*7 live operations at multiple locations with a headcount of 600+. GTPL renamed as Jumio India Pvt. Ltd. Since 2015, I have been heading Jumio India operations and leading a team of over 2000+ today. I am also a part of Jumio global executives team. I have invested in a software company which is a start-up for developing web platforms for diversified sectors. Recreation of Viniyog Solutions, The first company is back in action with the scopes and objective of talent and creative promotion and support them in financial need and mentoring them to achieve the desired goal of a Startup brand. A global offshore outsourcing company from India empowering businesses through quality backoffice services that promote efficiency and improved bottom-line. ProcessVenue, a one stop venue for - Secure Data Management, Customer Support, Digital Marketing and Finance & Accounting needs. We focus on delivering high quality efficient services with the ultimate goal of Customer Delight. A Non Profit organization in India taking care of social activities to empower fellow citizens and communities. A2V is the force behind some of the most diverse and innovative applications and programs. From integrated e-learning programs to resolving general household problems, A2V has come up with a number of diverse solutions for various organizational and individual needs. Seth Anil Goyanka Sewa Sansthan, a Non Profit organization in India taking care of social activities to empower fellow citizens and communities.